We have five furnished room downstair available for rent in West End, located close to the water on a very pretty street with lots of trees and car parking, and The house is surrounded by bus stops and the shops and heart of West End, or to the ferry. # 25 metres walk to convenience store, international restaurants, cafes # 50 metres walk to bus stop 12 for bus 199 ,N199,198.,bus192 stop -17 # 5 minute walk to ALDI Supermarket and City Glider bus stop on Montague Road (just four bus stops from George Street in the City Centre) # 3 minute walk to the river and then 3 minute city cat ferry ride to UQ # 900 metres walk to Davies Park Saturday Market with fresh fruit and vegetables etc. at the river under Fig trees # 7 - 9 minute bus ride to Southbank Parklands, the State Library, CBD and QUT # 15 minute walk to West End markets (Coles supermarket, banks, cafes, bars, newsagents, hairdressers, beauticians, video stores, many specialty shops) # 22 minute walk to Southbank Parklands on the river # 25 minute walk to CBD and QUT We have double brick wall all around inside house. that keep quiet ,keep cool in summer and keep warm in winter. The two room is carpet floors, One is a double bed, one is single bed. Another three room is tile and concrete .if you want carpet we can put on it. ( bedside table, lamp, fan, bookcase , dresser and wardrobe with plenty of room to spare for a study space) .If you want to bring you own furniture it’s no problem at all. The room also gets lots of natural light and airflow. dedicated undercover storage area and laundry with washing machine, carport as well as on-street parking(never worried about no parking space. we are in very quiet street. Our house no neighbour ), furnished lounge room with a flat screen TV and aircon. Looking for someone like clean and tidy. No smoke and no animal. We will clean public area every week. You just need clean your own room. If you are cooking you may need tidy up all you massive. The big room rent is $200 a week. and small room rent is $190 a week .All utility bills are included in the rent .Rental Bond is $600/big room and$570/small room(matches 3 weeks rent).Feel free to ask any questions you may have. The perfect location in West End! We’re across the road from the Rialto where there’s a range of restaurants, bottle shops and more. It’s a super short walk to Boundary Street and the bus stop is four doors down! The location is fantastic! It is minutes from bus stops, cafes and shops in a very funky area. There are 3 female only and 3 male only bathrooms as well as 7 unisex toilets. Two over sized kitchens, fantastic outdoor space and great atmosphere in the house. Rooms are light an airy and are furnished including fridge and TV. One bedroom is available from now. 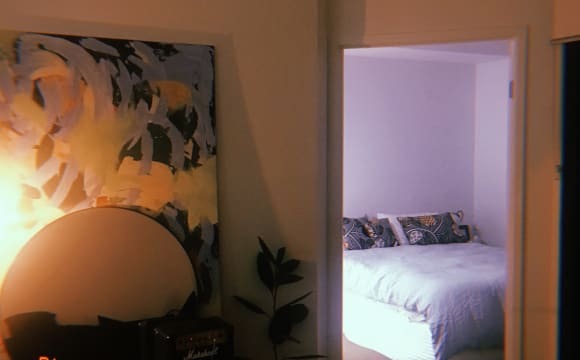 This bedroom has a queen size bed and a closet - $200/wk. The rent includes internet, water, gas and electricity* conditions apply. This is a FULLY furnished lovely house in West End. Below are the advantages of this house which may interest you!! 1. Two minutes’ walk from 199 &amp; 192 bus station 2. Six minutes’ walk to West End Ferry Terminal station 3. Big house with Air-con in every single room 4. Seven minutes’ walk to Aldi supermarket 5. Great view and a big balcony from living room 6. Ten minutes’ walk from the famous West End Saturday market 7. Many cafés in the surrounding area 8. Friendly and mature housemates!! 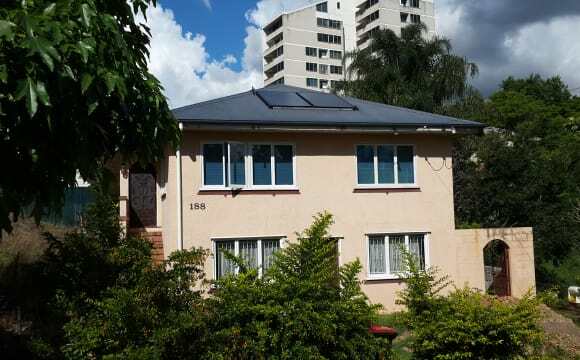 - NEW apartment in sort after apartment block in centre of West End. - Large bedroom with windows on two sides, blinds, walk in wardrobe, mirrors, drawers incl. - 1st floor secure building on Vulture St West End, balcony - Private bathroom with shower and toilet - In-suite washing machine and dryer, dishwasher etc - Air conditioning and heater - 260 per week - No bond - One month up front - One months notice - Three month trial period PLEASE EXCUSE THE PHOTOS - MY OTHER ROOMIE IS MOVING OUT. Hello, I have a private room available in a cosy and peaceful two bedroom home in West End. It is a well-loved home; fully furnished and filled with art, greenery and books. The house is located in a quiet, leafy pocket of West End. It's 5 mins to public transport (bus and ferry) and Brisbane River, restaurants and cafes are close by. 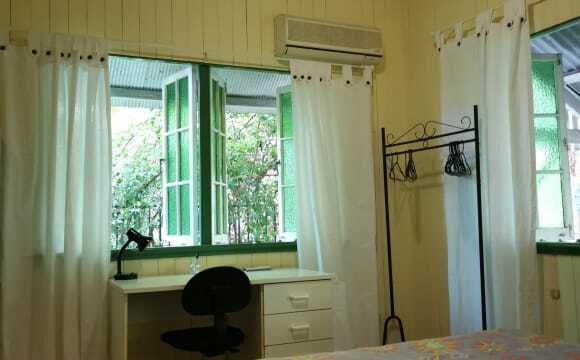 The room available is medium sized with in built wardrobe and two windows with security screens. Room is currently furnished with Double bed (as pictured) but can be unfurnished. There is a beautiful, shared garden space outside to enjoy and large yard area for gardening. Off-street parking available. Wifi and bills (electricity + gas) included in rent. 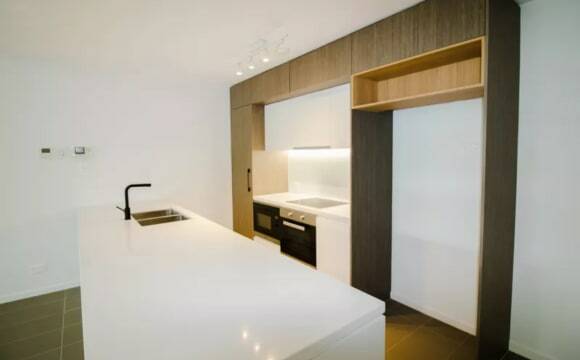 Top floor West End apartment, with views, natural light, breezes, AC, Unlimited 4G Internet, seperate laundry, free on street parking, 10 minute walk to the heart of West End, South Bank and a 30 min walk to the CBD. Sharing with a 32 year old, easy going guy. I'm vegetarian (you don't have to be) and I work full time in Film and TV. I'm into rock climbing, photography, movies, hiking, camping, the beach and anything outdoors. The room comes with a Queen Bed (should you require one) and the apartment is fully furnished with modern appliances, Internet, Ceiling Fans, AC, Free Parking and a short walk to countless West End coffee shops and restaurants. The room is available NOW. Open to couples, a girl or a guy. A lovely two bed, two bath and two car apartment, that’s nice and spacious. If you don’t want a carpark, the rent will be $15 cheaper a week. There is a roof top pool and bbq area. The unit is furnished except the room and is air conditioned. The apartment block backs onto the west end river walk and is 1.5km from the ferry terminal and a few blocks away from a main bus stop. There is outdoor gyms a stone throw away with many other boutique gyms close by. It’s a beautiful area with a leisurely walk into south bank. There are nice cafes, shops, pubs and restaurants within walking distance. The apartment is quiet and has a relaxing vibe. Wifi will be split like bills. West end has heaps to offer and there is always something to do. One of my favourite things to start my weekend off is to stroll down to the west end markets and get breaky and fresh produce for the week. 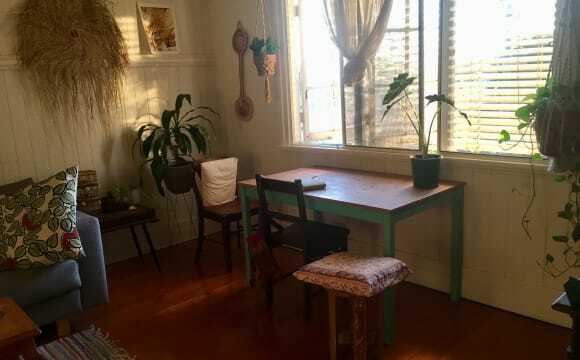 Brand New Furnished Studio for a Couple/ Single, West End, Peaceful, A/C, Wi-Fi This fully furnished studio room for a couple/single has everything you need to live comfortably and centrally in the best suburb in Brisbane. The studio has your own private sheltered outdoor space, is air conditioned, has ceiling fan, fast unlimited wifi, and direct access to your own bathroom and kitchenette with Nutrioven, much like a hotel room. It is located within a new large house, and so there is also access to a lounge, a larger backup kitchen, laundry and a pool, which is shared with other students/young professionals. The versatile NutriOven in your studio facilitates Bake, Roast, Grill, Steam, Dry Fry and Toast. This is a studio located in a house in a peaceful and quiet area and intended for relaxing, studying, enjoying quiet time, as there is no partying in the house. You can be guaranteed a peaceful place to get away from the stresses of the world after work/while studying over the summer. Your studio includes a double bed with pillows, sheets and doona, a wardrobe, desk, office chair and air con, of course. 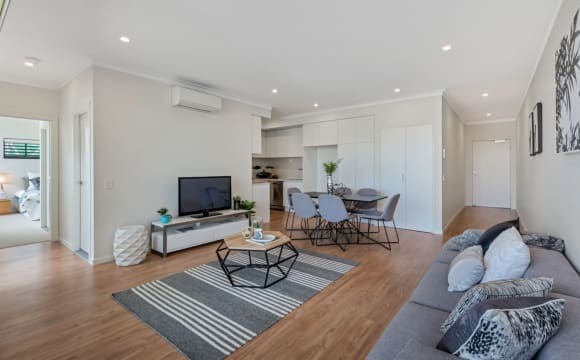 You will be extremely comfortable staying in this comfortable and convenient location: * with buses running very frequently, * ALDI supermarket and * Davies Park Saturday Market just 5 minutes walk away, and * short cut access to Rogers Street and the ferry to UQ down the road. * West End's cafes and bars are just minutes from your front door. The studio is priced at $250 per week, with 4 weeks bond. All utility bills are included in the price. 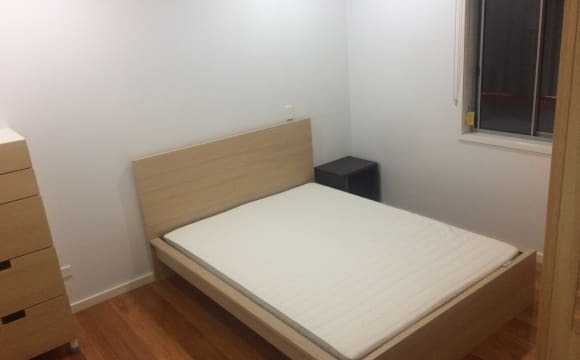 This nice, clean, fully furnished and Large bedroom has everything you need to live comfortably and centrally in the best suburb in Brisbane. 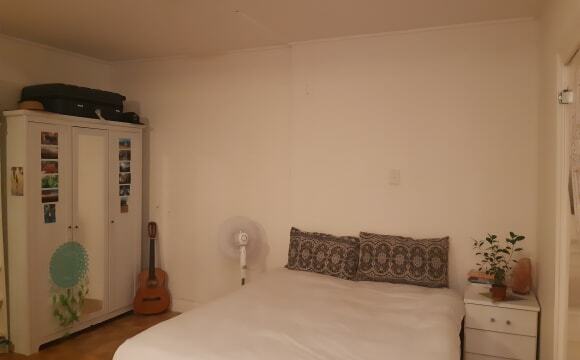 Brand New Furnished Large Studio for a Couple/ Single, West End, Peaceful, A/C, Wi-Fi This fully furnished large studio room for a couple/single has everything you need to live comfortably and centrally in the best suburb in Brisbane. The studio has your own private sheltered outdoor space, is air conditioned, has ceiling fan, fast unlimited wifi, and direct access to your own bathroom and kitchenette with Nutrioven, much like a hotel room. It is located within a new large house, and so there is also access to a lounge, a larger backup kitchen, laundry and a pool, which is shared with other students/young professionals. The versatile NutriOven in your studio facilitates Bake, Roast, Grill, Steam, Dry Fry and Toast. This is a studio located in a house in a peaceful and quiet area and intended for relaxing, studying, enjoying quiet time, as there is no partying in the house. You can be guaranteed a peaceful place to get away from the stresses of the world after work/while studying over the summer. Your studio includes a double bed with pillows, sheets and doona, a wardrobe, desk, office chair and air con, of course. 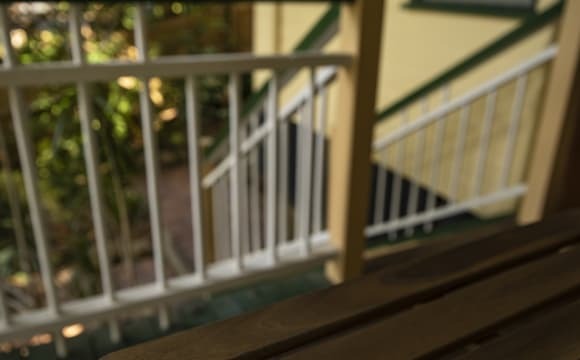 You will be extremely comfortable staying in this comfortable and convenient location: * with buses running very frequently, * ALDI supermarket and * Davies Park Saturday Market just 5 minutes walk away, and * short cut access to Rogers Street and the ferry to UQ down the road. * West End's cafes and bars are just minutes from your front door. The studio is priced at $290 per week, with 4 weeks bond. All utility bills are included in the price. I got a Beautiful elevated two bedroom /two bathrooms apartment in a quiet pocket of West End. 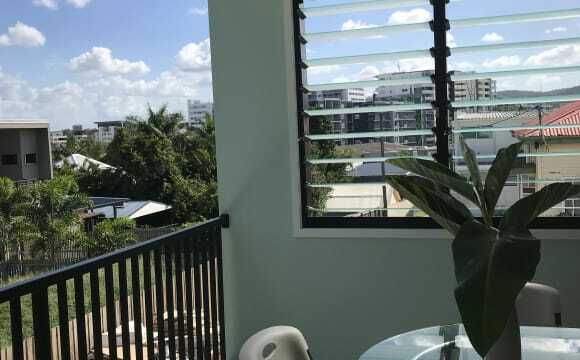 Newly built with a stylish, modern design, this home got a relaxing bohemian lifestyle riverside living, boasting magnificent views overlooking the Brisbane River and local surround. Walking distance to Aldi, public transports, cafes, restaurant and bars. Free access to bbq and pool , gym and picnic area within the apartment. 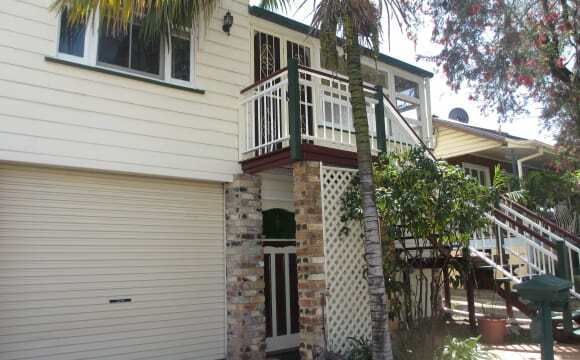 Room for rent in a lovely two bedroom unit with great aspect from the balcony over the BBQ/pool area and Brisbane river. The available room is bedroom # 2 which has its own bathroom (no ensuite). The unit is fully furnished (apart from the available bedroom), has a great balcony, river views, wi-fi, nice kitchen, washing machine and dryer. The complex has direct river access, gymnasium and function room. Off street parking and absolutely everything you need is walking distance - cafes, bars, shops, markets, public transport and council bikes. The position is on Whynot Street, West End which is close to public transport, shops, food markets, library, park and the river. There is also a large backyard. The available room is furnished with double bed, clothes rack and desk. The house is creative and environmentally friendly. Flexible with move in/move out dates-send a message with request. Hi! I am currently living in this flat and I am looking to move out. It is a great, modern place that was built very recently. The room is private with your own ensuite bathroom. 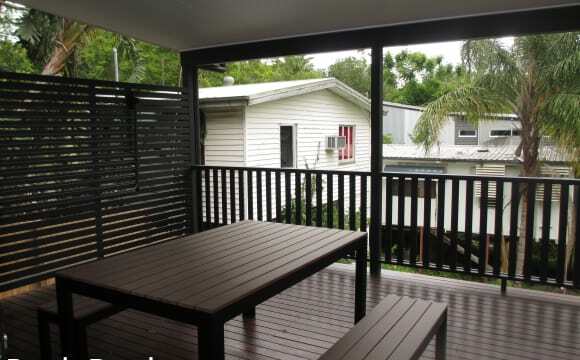 The location is great as it's very close to UQ, 2-minute walk to the bus stop, which is only a 10-15 minute ride into CBD, and the grocery store and other shops are within walking distance. The flatmates are all very nice students studying at UQ. Please note you must be a student to live in this share house. Don't hesitate to ask any questions!